1/2 kilograms (1big) cauliflower – cut into medium size florets with long stalks. 8 little figs – sliced. 1/2 tablespoon red chili powder. 1 and half tbsp salt. 1. Break the cauliflower into medium florets, remaining the stalk undamaged. 2. Churn all the components given under anjeer paste in a mixer till smooth. 3. Mix. Microwave for 9 minutes. 4. Include the ready anjeer paste. Mix well. Add cauliflower and mix effectively. 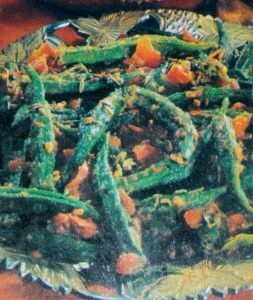 Mix in entire green chilies, and sliced tomato. Cover and microwave for 10 minutes. Mix. Add the prepared anjeer paste. Mix well. 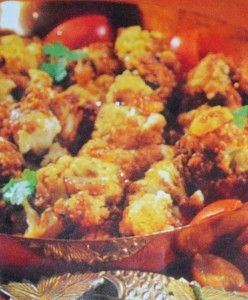 Include cauliflower and mix really well. Mix in whole green chilies, and chopped tomato.